As a rough guide I've marked the woods (H), (M), and (L). This is High, Medium, and Low density. Generally, the higher the Density, the brighter the sound of the pipes. For more specifics about how each wood sounds, please feel free to email us. We're always happy to talk about woods. While the difference in sound between woods is fairly subtle, most pipers can hear a difference between the extremes of most "bright" in tone and most "mellow" in tone for wood choices. A set made from African Blackwood would be at one end of the spectrum at most "bright", and Plum or Apple would be at the other end at most "mellow". For the most part, the denser the wood, the "brighter" the tone. However, even the best ears would have a hard time telling the difference between the sound of pipes made from woods more in the middle range of densities, or even trying to compare between the middle range to the top or bottom. I find that, unless you're looking to have as bright a sound as possible, to perform on stage with other musicians for example, most pipers are happiest with a set made from the middle of the range woods. Luckily, that describes most of the woods I use. Again, comparing sound clips online is nothing like comparing chanters in person, and Tim and I are playing different drone configurations and being recorded at separate distances in different types of rooms (though the same camera was used for the recordings), so this comparison is definitely imperfect. That being said, I chose these two videos because I think they do an admirable job capturing the real tone of the chanters. What I think this illustrates is that, while the tone is different, it's not night and day, even between the extremes. And, while Tim's set is more rounded in tone, it still completely filled the hall he was playing in without amplification. 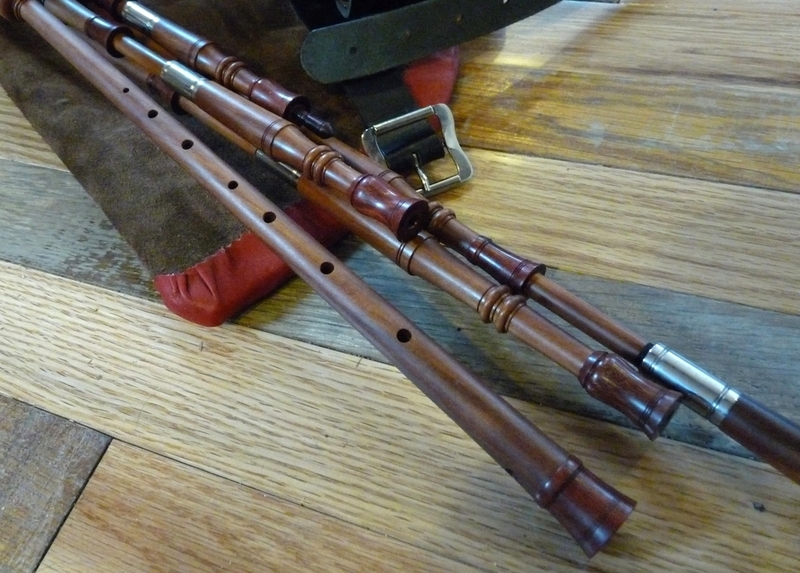 All my smallpipes, even the the softer wood sets, are very robust. For Border pipes, the difference is a little more pronounced between the extremes in the wood tone spectrum, but not by much. 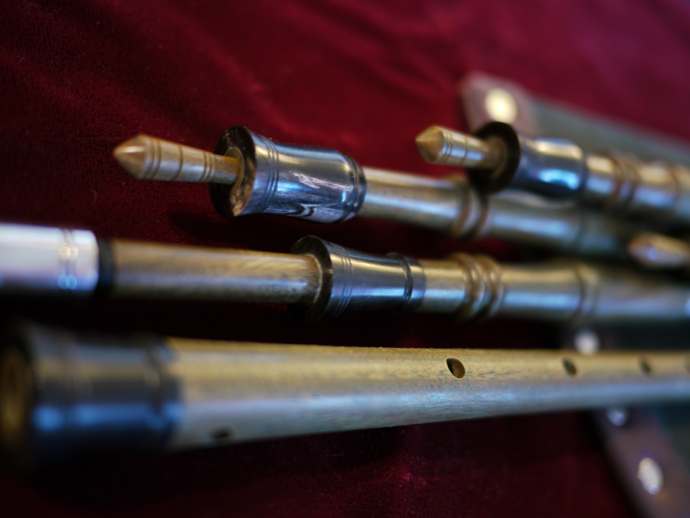 Also, to complicate things further, the way that a chanter is set up, a small difference in the reed strength for example, can have more to do with the sound than the choice of wood. But again, a good rule of thumb is the denser the wood the brighter the tone. When ordering Border pipes, please describe what you're looking for in a set of pipes. Personal use at home vs stage performance vs session playing, etc. We'll help to steer you in the right direction for wood choice. *All the fruitwoods (Apple/Plum/Pear?etc) have very similar properties and looks. Whenever possible, we find wild grown trees to use as they tend to be larger and harder than quick growing commercial sources. Currently we have a great supply of seasoned wild apple from Maine.